On Sunday afternoon we celebrated our sweet boys turning FIVE and SEVEN!!!! 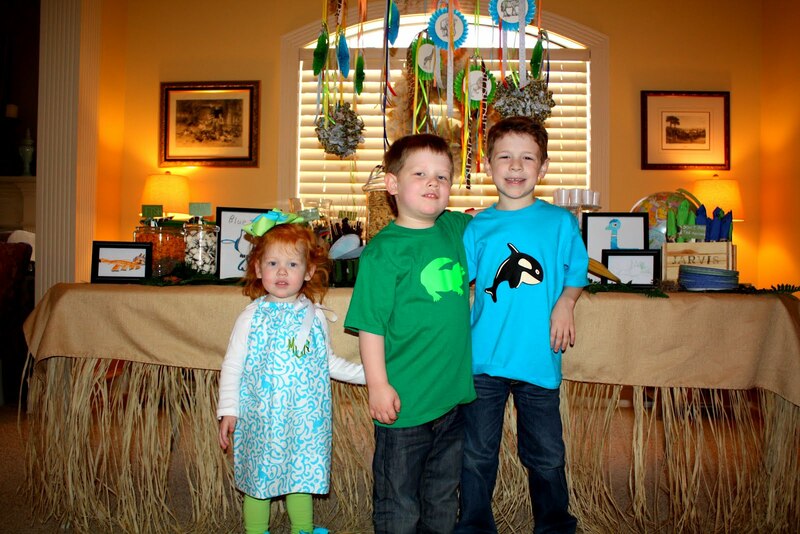 The boys love WILD KRATTS, a tv show on pbskids where these two brothers tell you all about animals! So we had a WILD JARVIS BROTHERS party! 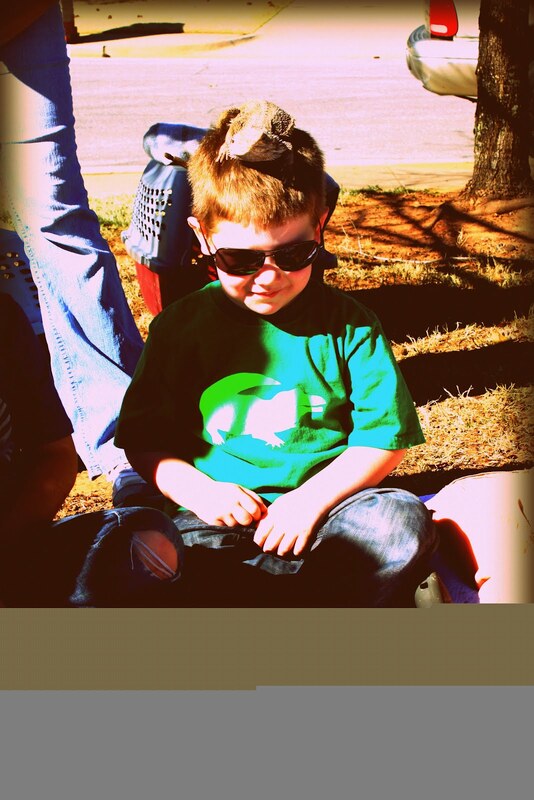 The weather was perfect and the boys had so much fun!!!! We had Extreme Animals bring 6 animals to the house....she told facts about each animal and the kids got to take turns holding them!!!! my kids LOVED it!!!! 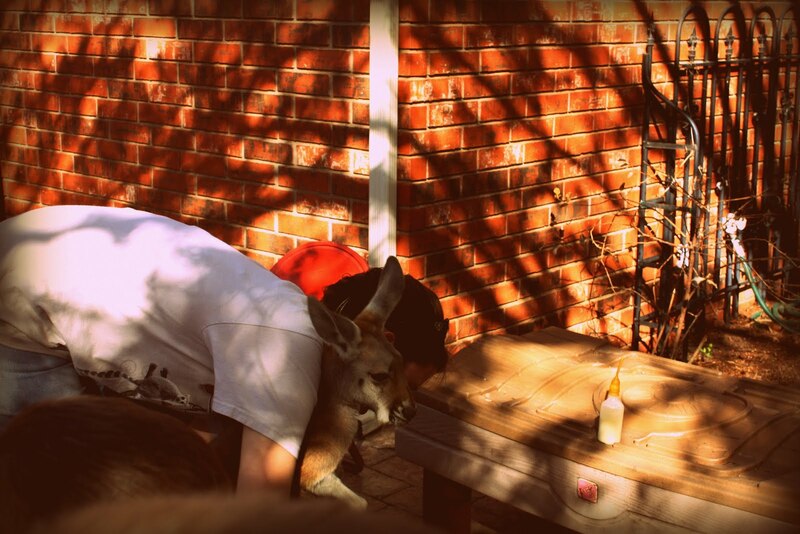 this was the kangaroo...i think it was the favorite animal of most the kids! Tina Stepp always does the best job on their cake every year!!!! she did not disappoint this year!!! it was so cute! 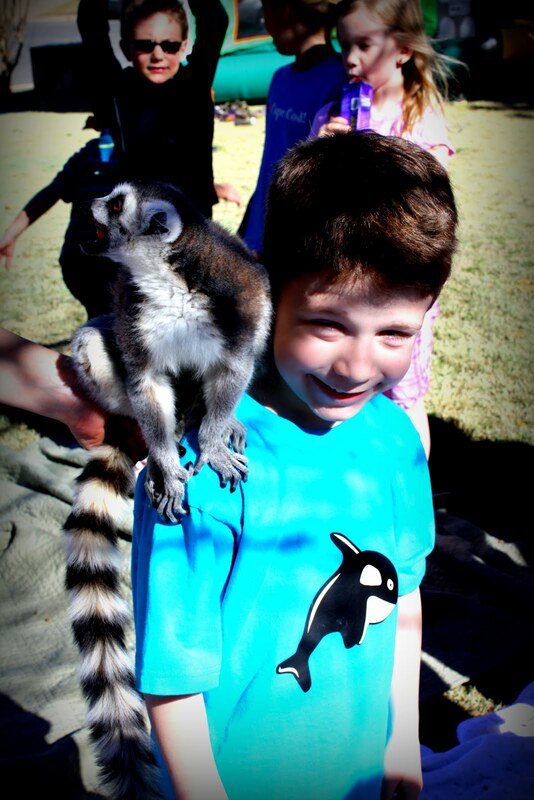 Jack with the Lemur....He loved it! 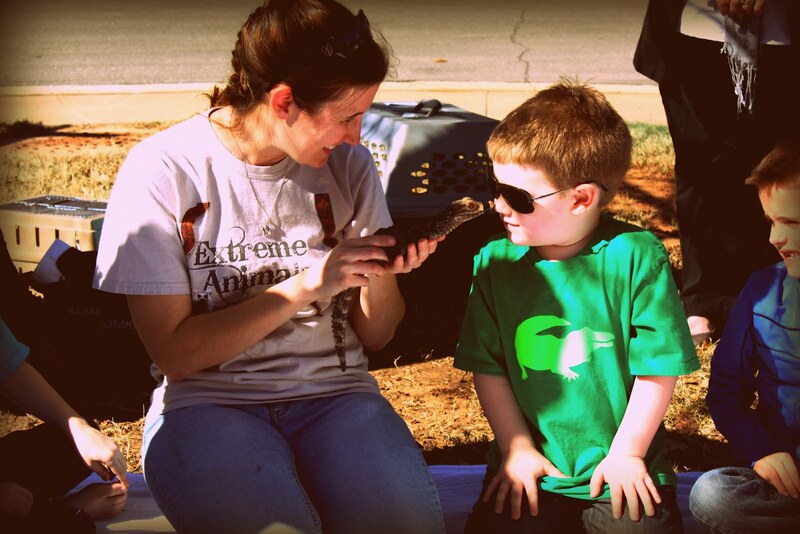 Sammy getting a birthday kiss from the baby croc! 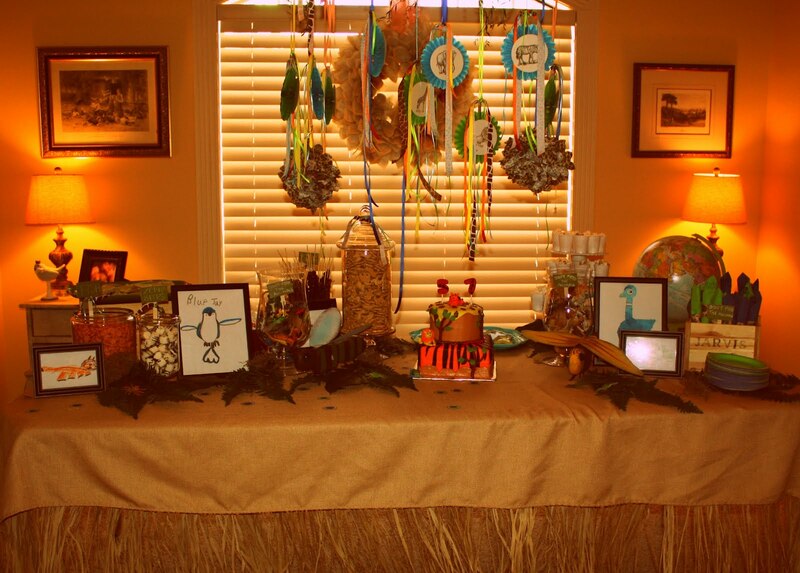 The food table....I had the boys draw pictures of their favorite animals and we framed them and used them as part of the decor! I think they loved it! they are both fabulous little artists! 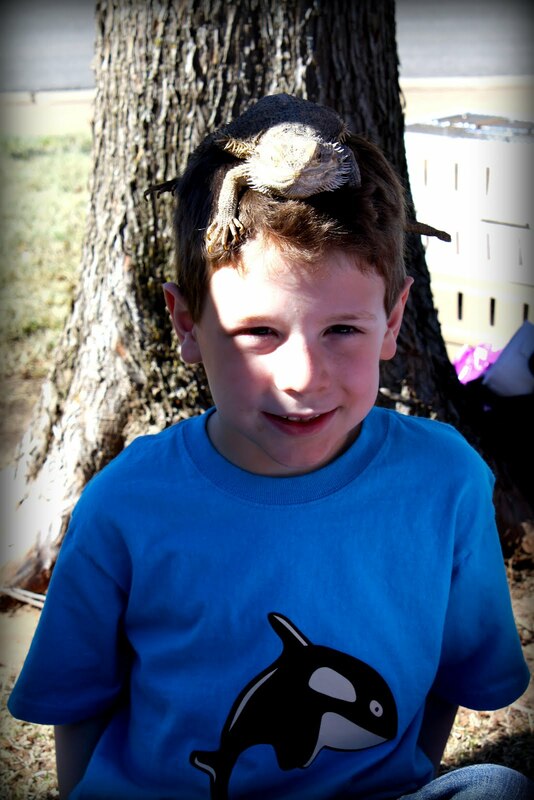 Sammy with the Bearded Dragon! 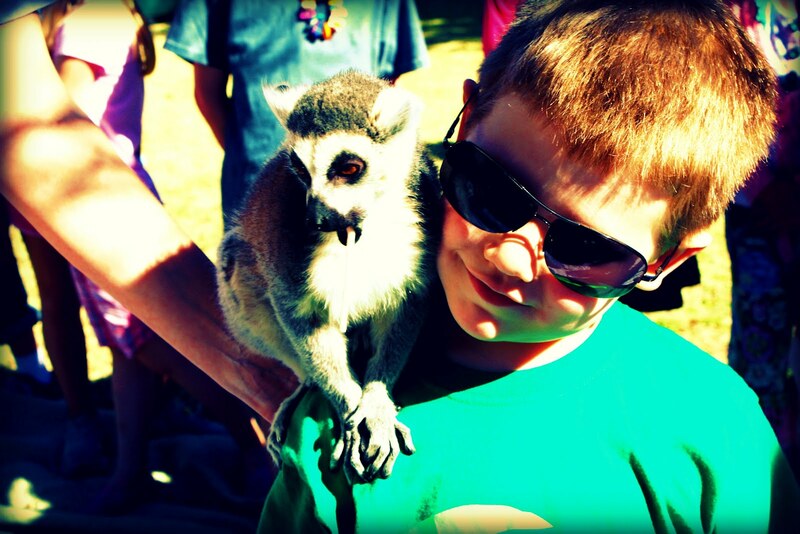 Jack and Sammy had a great time at the party and loved the animals and spending their special day with their sweet friends!!! We are so blessed!!!! we love you boys sooooo much!! !